A particular advantage of the ibis München Airport Süd hotel is its close proximity to Munich international airport. We are conveniently located near S-Bahn line 8 and the A9 and A92 highways. The hotel has 110 air-conditioned rooms, which are soundproofed to ensure a peaceful stay. Your room has a Sweet Bed by ibis bed, guaranteeing you a good night's sleep. Complimentary WIFI is available round the clock throughout hotel. The hotel has 55 parking spaces for guests. The hotel is located in the immediate vicinity of Munich airport. Take the S 8 to reach Munich city center. Only a few minutes from the terminal: The ibis Hotel München Airport is the perfect choice for you if you want to reach the airport as quickly as possible. To explore the shopping and culture that Munich has to offer, simply take the S-Bahn. Opt for a relaxing night's sleep. 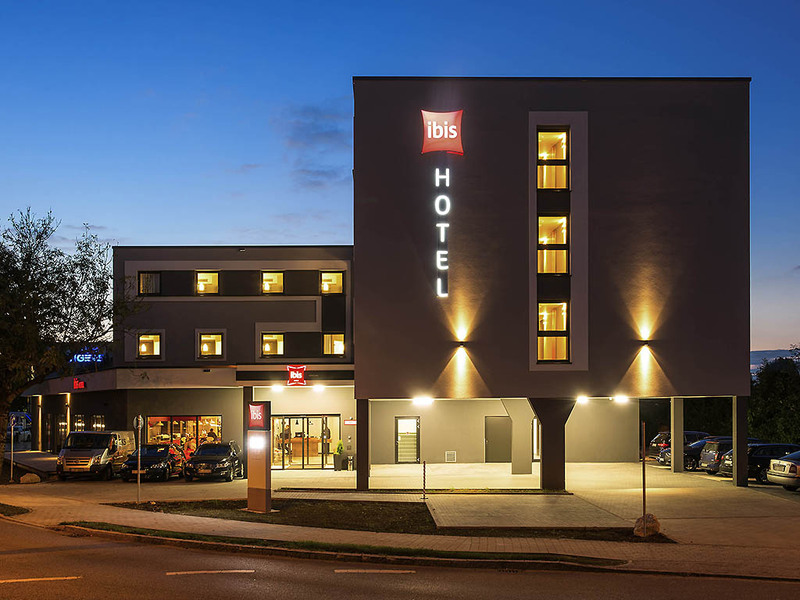 All 110 rooms at the ibis Hotel München Airport Süd feature the innovative ibis sleep-easy concept. And when you're awake, you'll also appreciate the functional, high-quality interior. Before your departure you should take time for a culinary stopover! Before your very eyes, we will prepare delicious pasta, tasty pizza or a juicy steak - we use only the very best beef. Bon appetit! Whether you're heading out into the Munich nightlife or heading to your bed, relaxing with a drink or just wanting to enjoy yourself, our 24-hour bar is here for you.